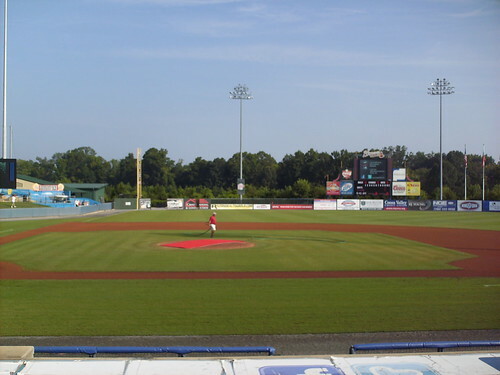 The view from behind home plate at State Mutual Stadium. 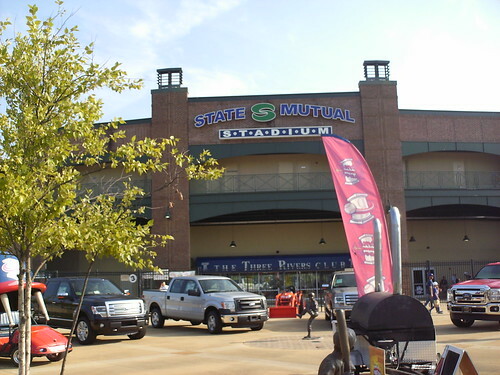 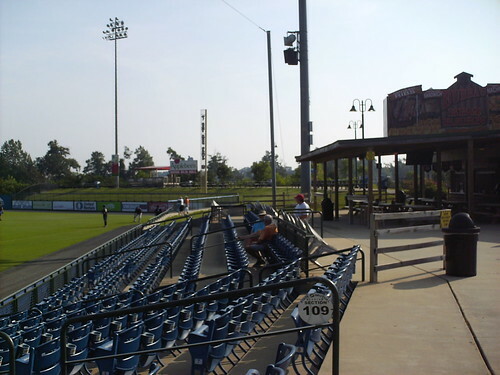 The grandstand at State Mutual Stadium, as seen from center field. 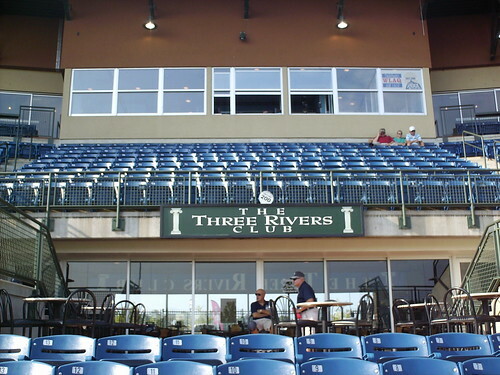 The pressbox behind the plate, and the Three Rivers Club, a restaurant on the main level looking out to the field from the middle of the stands. 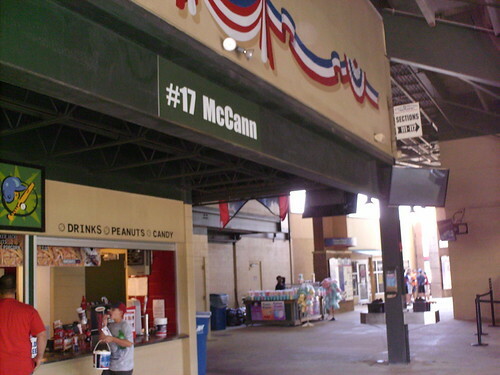 Rome Braves retired numbers, and the bottom of a SAL championship banner on the concourse inside the stadium. 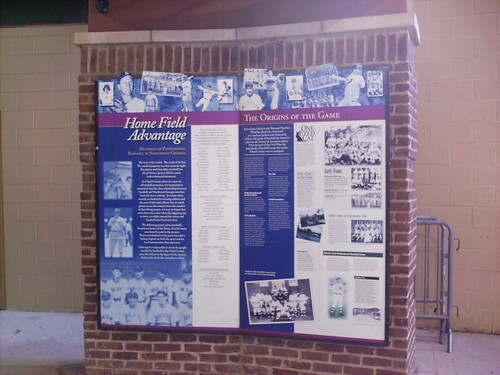 Displays throughout the concourse celebrate the history of baseball in the Rome area, from local mill teams to the current Braves. 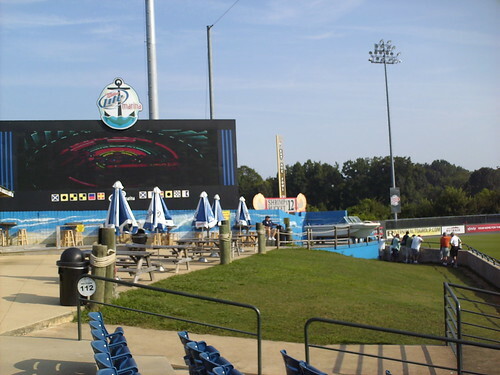 The Marina is a nautical themed party deck in the left field corner, including a boat to watch the game from, and "Miller Marina" spelled out in nautical flags. 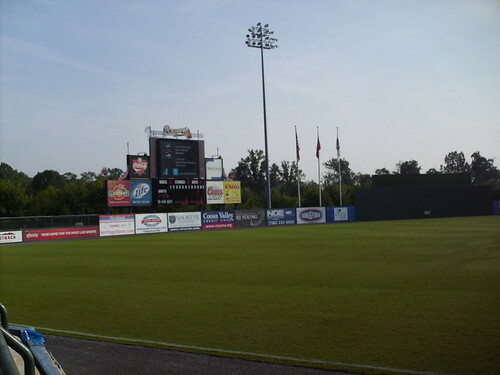 The BBQ barn stand looks out onto the field from the right field corner. 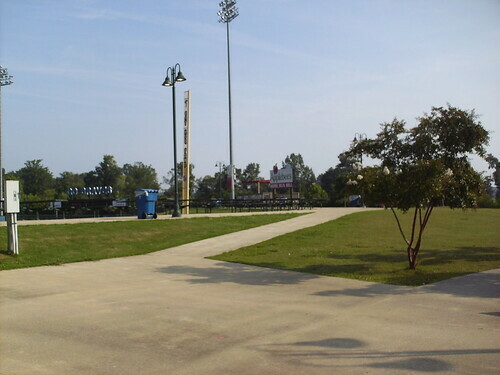 The outfield concourse features plenty of room for people to run around, and picnic tables wrapping around the foul pole. 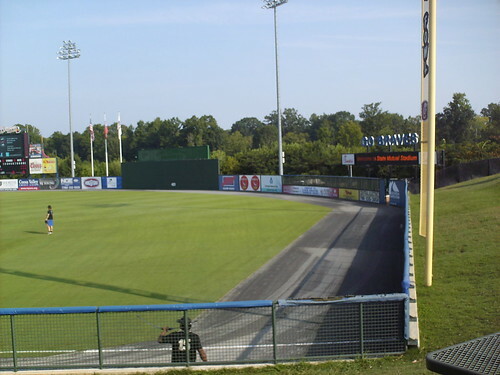 The outfield wall runs straight across right field, before taking a sharp turn at the bullpen and continuing on a curve from there. 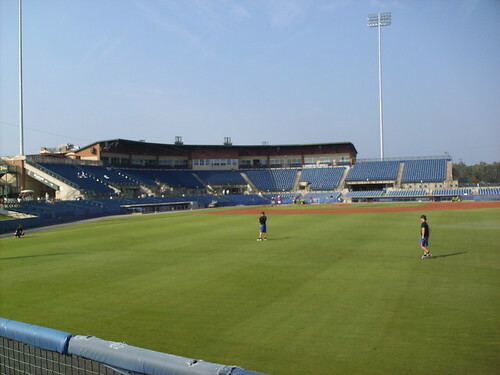 The bullpen in the outfield, between the wall and the ribbon board. 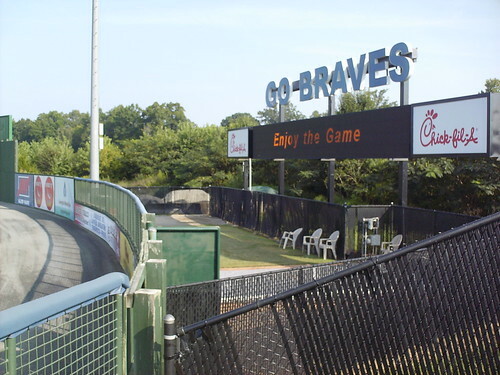 The scoreboard next to the home bullpen in left field. 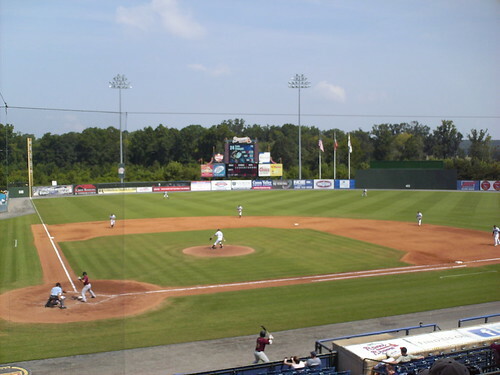 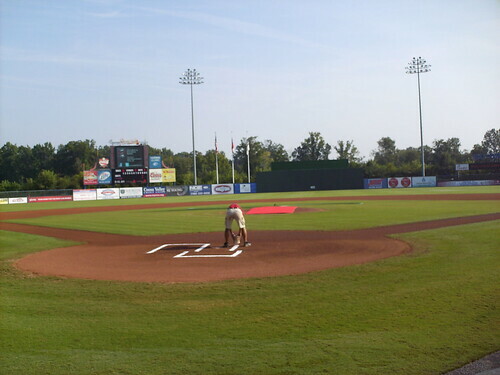 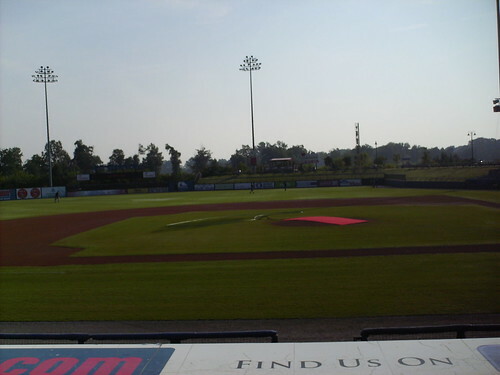 The Rome Braves on the field during a game at State Mutual Stadium.